Our new install commercial refrigeration customers can choose from most any make or model. It takes an expert to be able to deal with the wide variety of commercial refrigeration equipment that exists in today’s market. 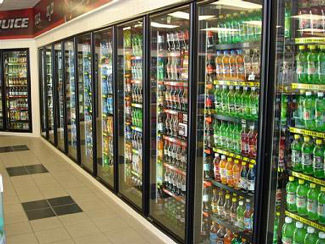 DESCO Services has the experience, manpower and expertise to deal with any kind of issue involving your commercial refrigeration system. We provide the installation and repair of all brands and sizes. That includes commercial coolers, ice machines, walk-in refrigeration units and more. Our refrigeration services are not just limited to restaurants. DESCO Services can also repair and install any kind of refrigeration systems in just about any business. Our expert service provides numerous benefits. With the help of DESCO Services, your business could experience a reduction in energy consumption, lower monthly utility bills and less customer service interruptions. Your business will also have peace of mind knowing your refrigeration system is running right. We offer 24-hour emergency service in case your commercial refrigeration unit stops working at an inopportune time. Our services are restricted to commercial refrigeration as we do not service household refrigerators, which are considered small appliances. Give us a call at 717-846-3384 for our York PA office or at 717-637-2216 for our Hanover location or in Gettysburg at 717-337-3053.